Istanbul (Constantinople). The crossroads of East and West, a crossroads of civilizations and flavours. It is there that Thanassis Gatsios is introduced to the aromatic world of herbs and to the secrets of traditional distillation. Syrrako. In 1878 Thanassis Gatsis returns to the historic village and founds the first distillery in the Epirus region. There, the recipes from Constantinople mix harmoniously with his zeal and skill to create ouzo of excellent quality, tsipouro, brandy and liqueurs of various tastes. Soon the quality of the products is widely recognized and their fame quickly spreads domestically and abroad, receiving gold prizes in the competitions of Athens (1904), Marseilles (1904), Bordeaux (1904), Liège (1905), Milan (1908) and Brussels (1930). Arta. 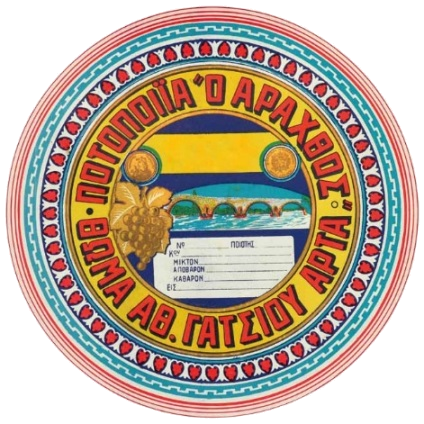 In 2007 Gatsios Distillery Ltd. acquires its own facilities on the bank of river Arachthos. With two state-of-the-art bottling lines and the capacity to produce up to 6,000 bottles per hour, the company soon expands the offer of its products to 12 countries abroad. Today, the fourth generation of the Gatsios family continues with the same dedication on the long road of producing traditional alcoholic beverages with strictly selected, fine ingredients from Greek producers, using the same recipes and distillation methods and, above all, assuring the quality, the flavours and the special taste of its products, values that remain unchanged in the course of time and have done so since 1878.
you need to be over the legal age.